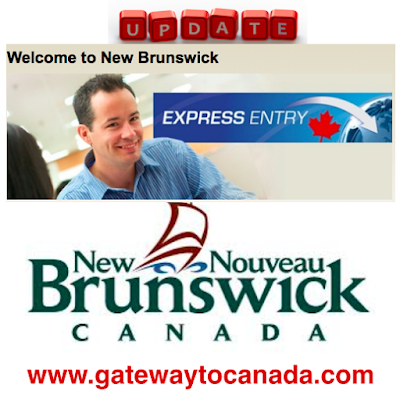 UPDATE: New Brunswick FREE Information Session Official Sign Up Page - Gateway to Canada | Canada Immigration Consultancy! Please be informed that this Information Session is FREE. To confirm your reservation for the New Brunswick Express Entry Labour Market Stream, you need to sign up directly via EELMS Official sign up page. The Provincial Nominee Immigration Officers will be conducting 10 minute interviews after the information sessions for people who believe they satisfy the criteria of the Program and have a genuine interest to settle in New Brunswick. Priority will be given to people who have the IELTS or TEF language results and a Canadian Educational Credential Assessment. You will have an opportunity to be interviewed after the session or the following day in the morning. The New Brunswick Express Entry Stream of will not accept applications from individuals who work in a profession that is regulated in New Brunswick (requires a licence to practice such as a pharmacist or physician) unless they have a valid job offer in New Brunswick and a licence to practice in the province of New Brunswick. Please do not register to this session if you work in such a profession and you do not have a licence to practice in New Brunswick. Venue will be at AIM Conference Center Manila located at Benavidez corner Trassierra Streets, Legazpi Villaage Makati City. You will received an email confirmation after a successful registration. IMPORTANT: Canadian Immigration Consultancy is not a recruitment agency. We do not offer job placement or employment in Canada. It is not mandatory to hire the services of immigration consultant/lawyer in applying for visa. Canadian Immigration Consultancy does not guarantee approval. The most the we can do is help you increase your chances by avoiding unnecessary mistakes. You can bank on our more than 20 years of experience in visa application assistance. You may visit the official New Brunswick website for the scheduled information session at www.livinginnb.ca.